START OPTIMIZING YOUR BUSINESS NOW! 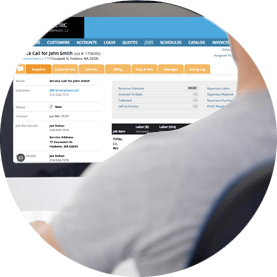 Quoting, Scheduling, Tracking, Billing – From service work to large construction jobs, 360e is a home services software that connects all the areas of your business to each other through one powerful, web-based system. Mobile-friendly and easy-to-learn and use, 360e will increase your profits while eliminating the inefficiencies and operational headaches that diminish profits on a daily basis. Sell and quote more effectively. 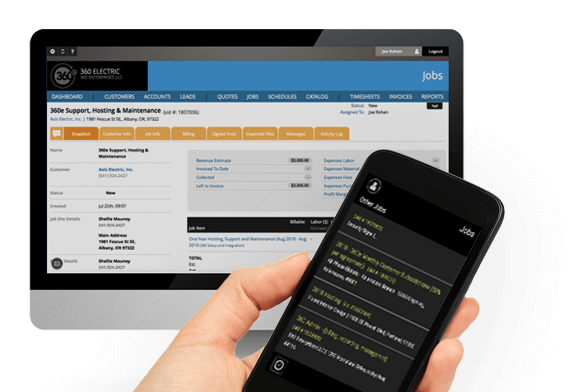 Eliminate job and scheduling errors. Track labor and materials in real time. Stop losing money on untracked charge orders. We are not just a software company. 360e was developed working together with contractors inside the industry. We support our product with hands on experience with the challenges that contractors face on a daily basis. 360e is not a boilerplate solution. That means that you are not sharing your software with all of our other customers. It also means that you can customize your software over time to manage your business with maximum efficiency. 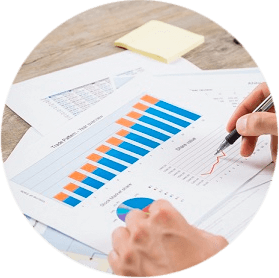 Our mission is to deliver big-company software for small-company budgets. With multiple onboarding packages, discounts for startups and new businesses, and no per-user costs, you can be sure that we will stay committed to our mission. 300 % Inceased Sales Growth in 2 years. 50% Increase in Operating Efficiency. 80% improved change order tracking. 3 simple steps to optimizing your business. You are free to start using 360e every day. Our customer assistance team will provide all of the training and support that you need to get the most out of your trial period. Enjoy the full benefits of our software along with the support of our team. 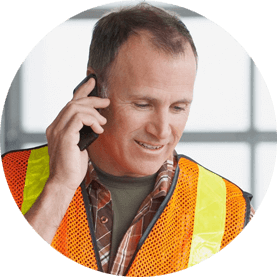 Experience first hand how 360e improves the bottom line of business for thousands of electricians worldwide. Increase profits while eliminating inefficiencies and operational headaches. Start optimizing your business today!